What do a coral reef, a purse, a fat man, and two captivating women have in common? 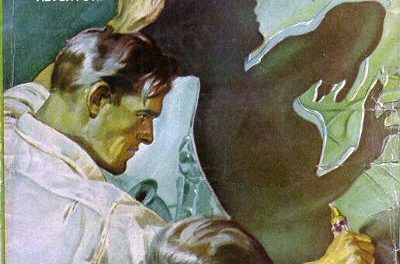 As Doc Savage soon discovers, the perilous answer lies at a Bahamas fortress — in the hands of the most vicious cut-throats in captivity. 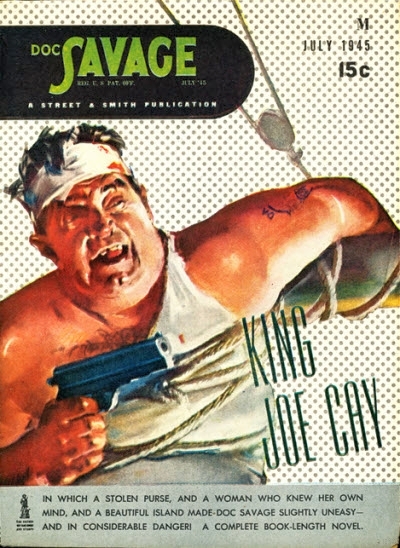 King Joe Cay reads like a Travis McGee novel by John D. MacDonald (who would soon be publishing his first short stories in Doc Savage Magazine in 1947). Doc is nothing more than a private detective sent on a case of following a woman to an island called King Joe Cay and a bunch of modern-day pirates. 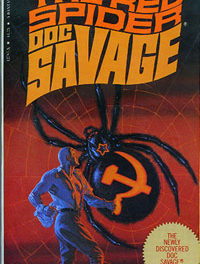 It’s a fairly creepy and unpleasant story and doesn’t seem at all like Doc Savage. 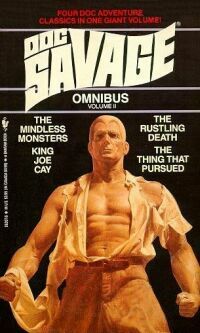 In fact, this story seems like a rather ordinary adventure story Dent may have written outside of the Doc Savage books and he may have just changed a few elements in the story manuscript to apply to Doc. Not Dent at his best, or Doc either, for that matter. 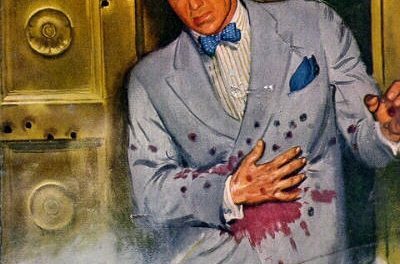 I agree with Paul Cook’s surmise that this may have been a Dent detective story rewritten into a Doc adventure. For one thing, Doc’s history with Charlotte d’Alaza seems out of character. That said, it’s a pretty good detective story and, while not one of my favorite post-war Docs, still a solid middle-tier adventure.